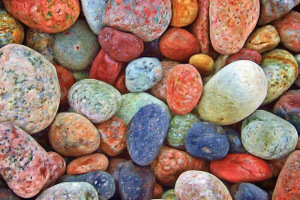 Usage notes: Faire d’une pierre deux coups always makes me think of skipping stones, but of course a good stone will skip more than just twice. 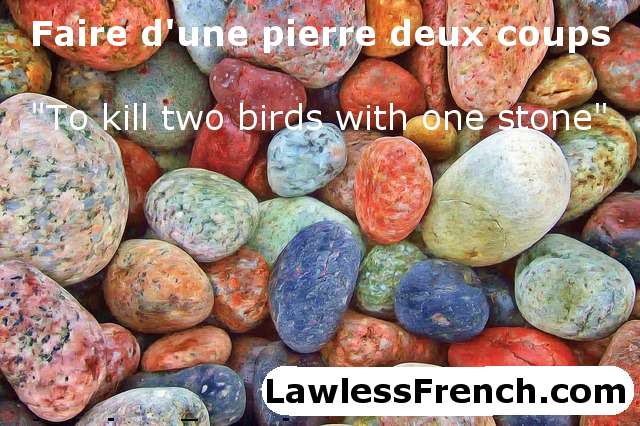 In any case, the stone in this French proverb and its English equivalent isn’t just bouncing across water; it’s performing two tasks that would normally take two separate "stones" to accomplish. It’s about efficiency and getting things done. Tu dois aller à la banque ? Moi aussi – viens avec moi et on peut faire d’une pierre deux coups. You need to go to the bank? Me too – come with me and we can kill two birds with one stone. Fais d’une pierre deux coups : si tu ranges ta chambre, tu trouveras ta raquette de tennis. Kill two birds with one stone: if you clean your room, you’ll find your tennis racket. In hunting, faire coup double means "to do a right and left"